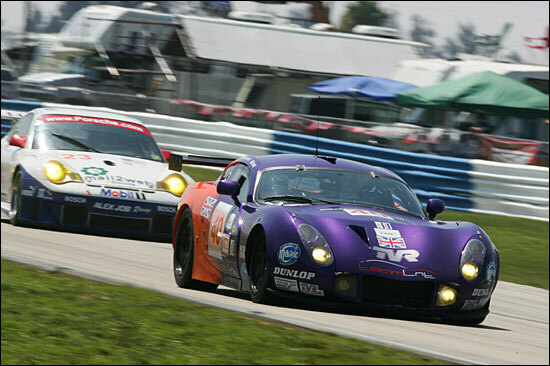 Sebring, Saturday Afternoon: The name of the game is fast and steady at Team LNT – A flu-ridden Lawrence Tomlinson wants to bring both cars to the finish of this, one of the world’s toughest sportscar races. The #40 and #41 TVR T400Rs looked fantastic as they stood together on the grid, the entire team standing proudly with the Union flag, ahead of the pre-race formalities. 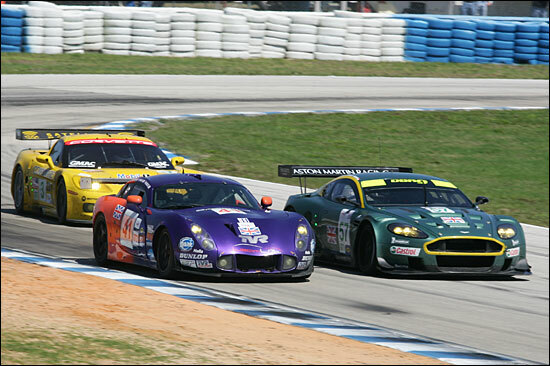 All too soon though it was time for the main event – the 53rd running of the 12 Hours of Sebring. 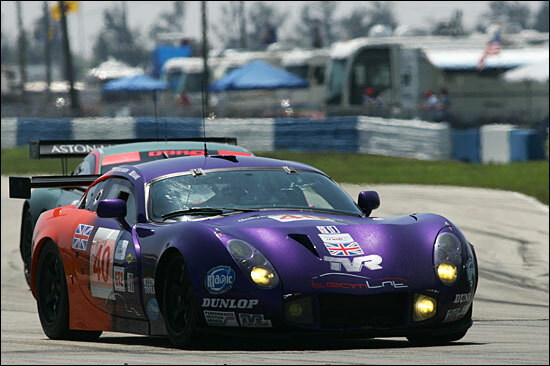 The TVRs would start in line abreast, with Jonny Kane in #40 and Richard Dean in #41. 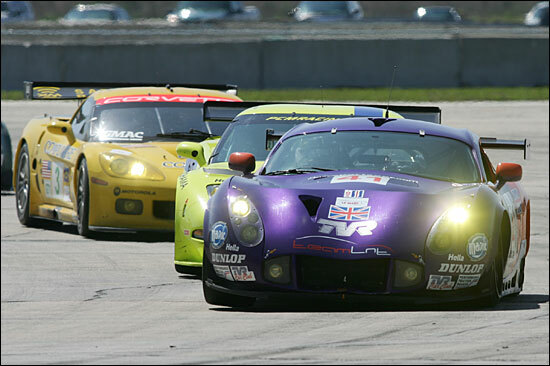 Both cars looked rock solid through the first stint, running well in touch with the leading pack in GT2. A pair of full course yellow periods helped to keep the field well bunched and all was going to plan. 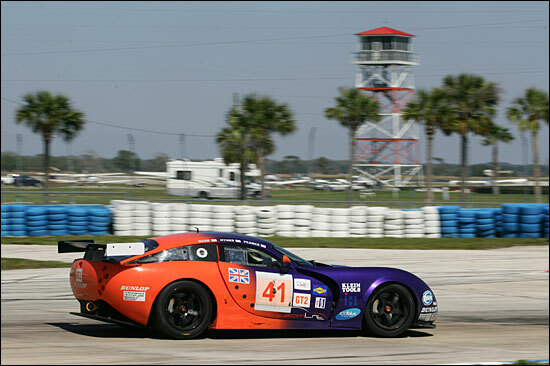 Bright and sunny conditions are great for race fans, but perhaps less good news for drivers racing highly tuned front-engined GT cars, particularly when, as in Patrick Pearce’s case, the cool suit failed! Over at the #40 squad meanwhile there was bad news. Warren Hughes touched a kerb and broke a rose joint in the rear suspension. 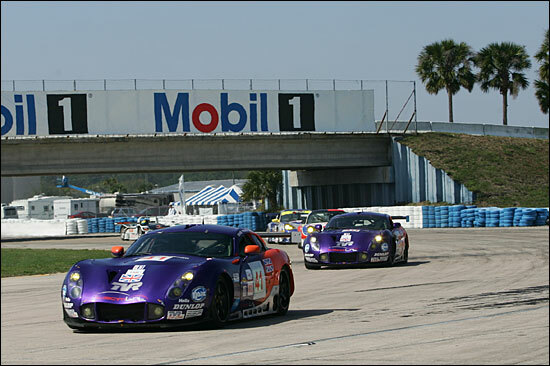 However, the initial damage was almost certainly caused by an impact with the GNM Saleen, on lap 1. “We lost 45 minutes which is disappointing but we’re out and running again, apart from that we haven’t missed a beat,” said Alan Mugglestone. At the four hour mark, with Marc Hynes in #41 and Lawrence Tomlinson in #40, the two TVRs are lying 19th and 31st overall, an excellent sixth in class for #41 and a recovering 12th in class for #40 – there’s still 8 hours of unremitting action to go though.